Contact us. 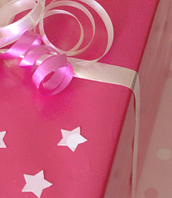 Present planning ideas for birthday present ideas and gifts, christmas lists, wedding gifts, anniversary ideas. We are always keen to hear your comments and suggestons regarding the website. Perhaps you have a suggestion which you would like to see included on our pages or a comment which may improve the service we can provide. Whatever it is, we'd love to hear from you! Many thanks to you all for supplying such beautiful photographs to brighten this website up!